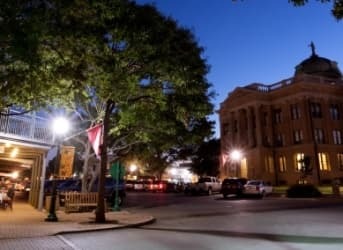 On March 18 the city of Georgetown, Texas announced that it would soon be generating 100 percent of its electricity from renewable sources. Georgetown agreed to purchase the power from a 150-megawatt solar farm that is to be constructed by SunEdison and online in 2016. 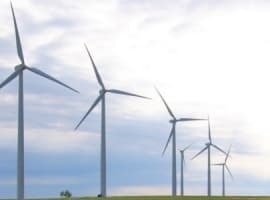 Coupled with a 2014 agreement to buy wind power, Georgetown will be able to generate all of its electricity needs without any help from coal, oil, natural gas, or nuclear power. That is upending monopolies held by utilities, which are fighting back against insurgent solar and wind. Utilities are trying to block new entrants into the market, which has earned the solar and wind industry some new and unlikely allies. In North Carolina, for example, a Republican state representative is sponsoring legislation that will open up the market for third party ownership and financing of solar, something that is currently illegal. Dubbed the “Energy Freedom Act,” the legislation could provide a dramatic boost to renewable energy in a state that has in the past banned state agencies from preparing for the threats of climate change. “When I was elected in 2012, I was an opponent of solar,” Representative John Szoka, the sponsor of the North Carolina solar legislation told UtilityDive. 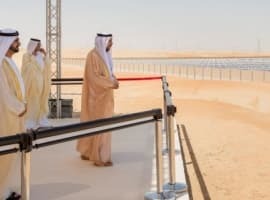 “I was convinced by the numbers and the facts that my position on solar was based on emotion and not on facts, so I changed my position,” he added. And those facts are becoming increasingly hard to ignore. Even when setting aside subsidies, wind power is quite possibly the cheapest form of new electricity generation in much of the United States. That is why cities like Georgetown, TX will increasingly be the rule, rather than the exception. 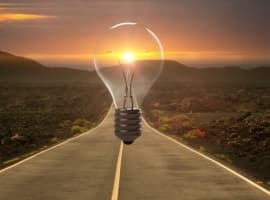 With renewable energy offering the cheapest cost of electricity in many places – and crucially, a fixed price over many years – it will become more and more attractive when compared to the rising cost of electricity from fossil fuels. In a shot across the bow for the coal and natural gas industry, Georgia Power signed a 2014 deal to purchase solar at 6.5 cents. Utilities and fossil fuel industry groups may try and slow down renewable energy, but we may be at an “inflection point,” says ACORE’s Kevin Haley. Renewable energy will continue to get cheaper, whereas fossil fuels will only get more expensive. That means it is all but inevitable that solar and wind will continue to grab market share from fossil fuels. Power purchase agreements for long-term renewable power are competitive with other sources of power. Just think, no hedging of fuel cost -- only signer's remorse... agreements next year will cost less than the agreement you sign now. How about some numbers? What is the cost per Kwh now to residents and the proposed cost under 100% renewables (without direct tax credits)? Does Georgetown have a municipal monopoly on providing electricity? Renewables are becoming more affordable, but someone has to pay for the back-up fossil fuel or nuclear powered generation facilities ready to come on-line at a moment's notice when the wind quits blowing or the sun quits shining. Until a feasible system for storing the electricity generated by renewables is developed, it's all much ado about nothing. Yep. Someone indeed does have "to pay for the back-up fossil fuel or nuclear powered generation facilities ready to come on-line at a moment's notice when the wind quits blowing or the sun quits shining." However, no reality and no common sense can penetrate the minds of the wind and solar utopians, regardless of how many failures of these systems we've witnessed in Spain and Germany.